Augmented and Virtual Reality (AR / VR) applications are becoming increasingly popular both in industrial and scientific projects around the world. Anticipating an emerging interest in such interfaces among developers and students both within and outside of AUCA, we present the first AR/VR meetup in Kyrgyzstan. Neobis AUCA organizes this event in coordination with the Association for Computing Machinery Special Interest Group on Computer GRAPHics and Interactive Techniques (ACM SIGGRAPH) International Resources Committee – the world leading research and education society on Computer Graphics. 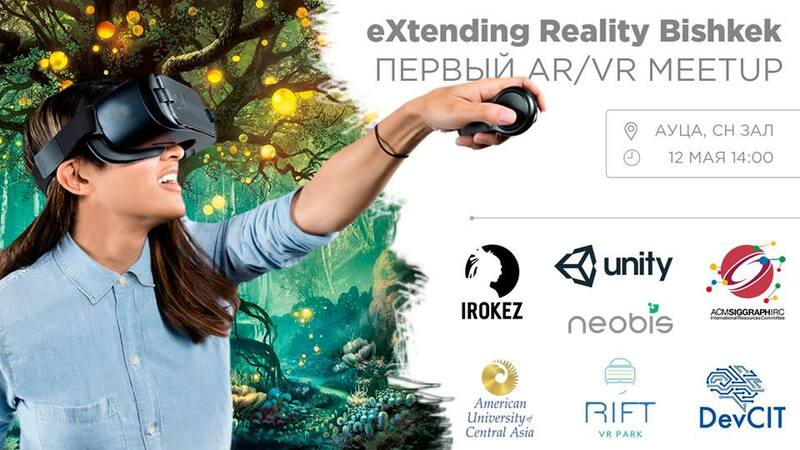 The aim of this meetup is to create a unified discussion platform among developers, scientists, and students of Kyrgyzstan and Central Asia interested in the emerging trends in AR / VR and Computer Graphics, and contribute to the advancement of science and IT industry in the region. The topics covered within the first event would include introductory talks on AR/VR research and development, presentations on relevant communities (both local and abroad), as well as discussions on how community members can create and engage with the community-driven initiatives throughout the year. – Bektur Ryskeldiev, AUCA Software Engineering department alumni, Research Fellow at University of Tsukuba, Japan, and Team Leader at ACM SIGGRAPH International Resources Committee. Neobis aims to introduce AR/VR topic and promote networking to attendees. We welcome academics, students, technology providers, programmers, and users, who can meet and network with people with similar interests throughout the event.